The Jet2 promo code for 2019/2020 could save you money on your next break. With a huge variety of holidays and accommodation types, Jet2holidays is ideal for those looking for great value holiday deals to popular destinations from major airports in England, Scotland and Ireland. As one of the UK's leading low cost airlines and holiday providers, you'll find a huge range of competitive offers from Jet2holidays, while our collection of offers from Jet2 could help save you even more. Find the latest deals, such as £60 low holiday deposits per person, below. Finding a late deal can be a bit of a headache with so many offers competing for your attention and claiming to be the best. With Jet2holidays, late deals are made simple. You may know exactly where you want to go or you may just be looking for something in the right price bracket with only a few days to spare - whatever it is you're searching for you will find great value last minute holiday deals from Jet2holidays. Another great tip for finding affordable late breaks is to use the Jet2holidays deal finder to sort by destination, price, and accommodation ranking. This way you can clearly see not only what's available but what is likely to suit you and your last minute holiday budget. There are thousands of FREE child places available for holidays from Jet2holidays. In addition, infants (children under 2 years old) go completely free on ALL beach holidays and city breaks with Jet2. It's easy to find child places with the Jet2holidays FREE child place finder. Simply select your departure airport, departure dates, holiday duration, and party size and browse the most suitable family holiday deals. Manchester is a hugely popular hub, offering travellers from the north of England easy, low cost access to Europe and beyond. Leeds Bradford Airport sees that thousands of travellers and holidaymakers from Yorkshire and the north of England can escape on well-earned breaks, be they to the sun or interesting cities. Whether you booked six months or six days ago, Jet2holidays is your gateway to destinations across Europe and the Med from the west of Scotland and northwest England. Jet2holidays offers some serious competition to other holiday providers departing from Belfast with a great selection of cheap deals and destinations. East Midlands Airport is a hive of airlines and providers whisking holidaymakers to sunnier shores, and Jet2holidays is no exception. Jet2holidays brings the Big Apple that bit closer with deals on breaks to New York, among other exciting city and beach destinations. Having undergone a recent refurbishment, Edinburgh Airport (EDI) is on the up with more and more passengers choosing to fly from the capital. Jet2holidays now offers more than 20 destinations from London Stansted Airport with the usual convenient flight times you'd expect from Jet2. Book now for summer 2019. It might sound cliched but it's true: Jet2holidays really does have something for everyone and every budget. You may be craving some peace and quiet in a secluded adults-only abode, or perhaps you need a family resort with all the trimmings. Maybe you're after an active holiday, such as cycling or golfing, then there's the chance you might simply want a stylish stay on a short city break - the list goes on. 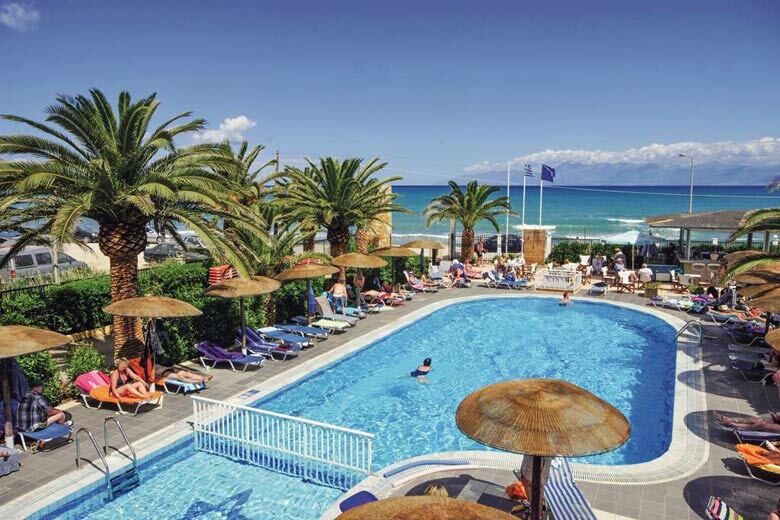 Catering to families, groups, and couples, Jet2holidays has something for every sun seeker out there, from basic self-catering accommodation to stylish luxury resorts. Whether you're after a family-friendly retreat with kids' pools and other amenities to hand or something a little more sophisticated such as a chic adults-only sanctuary overlooking the sea, Jet2holidays will not disappoint. There's even a dedicated selection of hen, stag, and party beach resorts for groups after a good time. 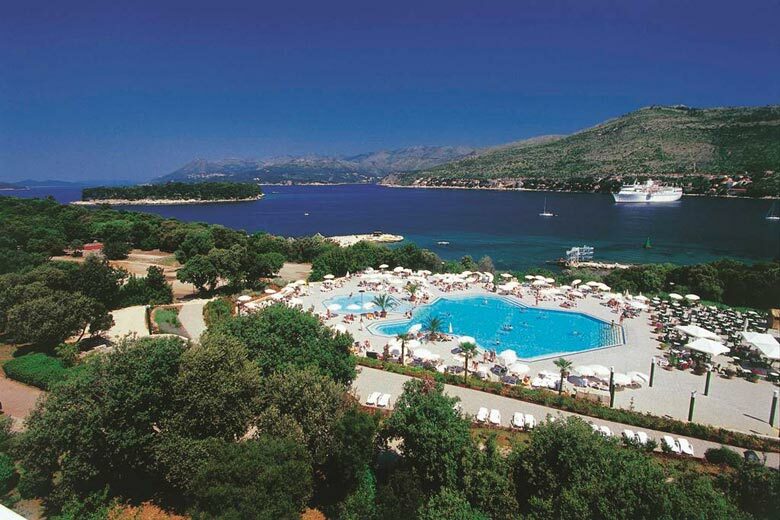 Choose from a wide variety of much-loved beach holiday destinations including shores in Greece, Croatia, Turkey, Spain, Portugal and many more departing from across the north of the UK. Jet2holidays knows how to take care of families. From unmissable deals such as free kids' places to dedicated family resorts with larger rooms, kids' clubs, pools, and extras such as entrance to water and theme parks, there's a holiday to suit your brood. Whether you're watching the pennies or keen to splash out, you can opt for anything from self-catering to all-inclusive, basic to luxury. As well as onsite facilities, many hotels have easy access to the beach and a host of water sports, from jet skiing to banana boat rides. Popular family holiday destinations that people book using the Jet2 promo code include Tenerife, where you'll find Loro Parque, Algarve for Zoomarine, and Barcelona for the mega-complex of PortAventura just 50 miles away. An all-inclusive break is the ultimate in relaxation, letting you truly unwind safe in the knowledge that your costs, or at least the majority of them, are covered. The great thing about booking an all-inclusive break with Jet2holidays is that it's accessible for all, with a type of package for every budget. From low cost options to indulgent deals complete with extras, everyone can afford an all-inclusive holiday. While families can delight in all-inclusive deals that come with food and entertainment for all, those after a more grown-up experience can pick from a range of adults-only all-inclusive resorts. Then there's all-inclusive plus for those who appreciate the finer things in life, such as à la carte dining and round the clock service. If you'd like a little more privacy on your holiday, check out the latest offers from Jet2Villas. You're guaranteed all of the same benefits that you enjoy on a Jet2holidays booking, with the added bonus of staying somewhere that's completely yours. Hotel resort villas: offering the best of both worlds, hotel resort villas with Jet2Villas give you the space and privacy of your own well equipped place - some with private pools - while also including access to hotel facilities and activities. Complex villas: similar to hotel resort villas, complex villas let you enjoy your own private residence while sharing facilities such as the swimming pool and gardens. Complex villas are an excellent hybrid for families and groups, especially if you want to book another property nearby. Individual villas: splash around in your own private pool and make use of the full kitchen facilities in your individual villa, set away from other properties yet still affordable for families and couples. Indulgent Escapes: one for luxury lovers, Jet2Villas' Indulgent Escapes are all about super stylish, seriously cool, and very private properties. Enjoy your own pool and beautifully landscaped gardens not to mention extras such as priority lane pass at the airport, 25kg baggage allowance, and in-flight drinks. Luxury is in the eye of the beholder, and at Jet2holidays it's never been easier or more affordable to book your own slice of paradise for less. Whatever your idea of holiday heaven is, be it a spa break, cosmopolitan city centre hotel complete with cocktail bar, or glam seaside resort with gourmet restaurant, Jet2holidays has a fabulous range of beautifully designed accommodation in excellent locations. Kids in tow? No problem, as Jet2holidays offers breaks to some beautifully designed hotels and resorts that cater specifically to the needs of families - think children's buffets, playgrounds, and entertainment. For adults, there's a special selection of five-star accommodation in a range of destinations as well. No matter what luxury is to you, simply use the current promo code to book your break for less. Love your bike? Then you'll love the exclusive cycling breaks available from Jet2holidays. 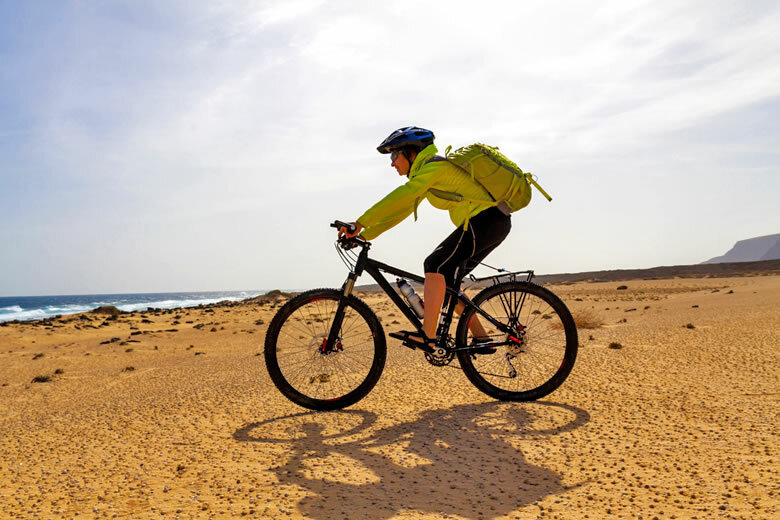 It's never been easier to take your beloved two wheels away with you, and Jet2holidays ensures that anyone booking a cycling holiday stays in a hotel with the necessary security and facilities to ensure everything runs smoothly. Every Jet2holidays cycle package lets you take your bike with you and includes cycle-friendly accommodation. Offering affordable flight and hotel deals to exciting destinations, choose from city breaks that could take you shopping in New York, behind the scenes in Budapest, on the rides of Disneyland in Paris, or down the canals of Venice - the choice is yours. 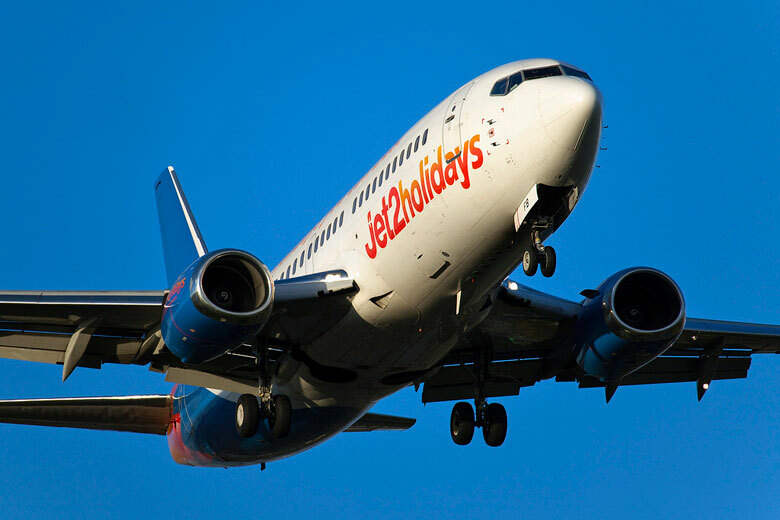 As a proud provider of holidays to residents across the UK, Jet2holidays has increased its number of routes quite significantly, ensuring there's plenty of choice when it comes to booking your next holiday. Jet2holidays is an award-winning tour operator offering beach, city and ski breaks to over 50 destinations. Find out more about flying with Jet2 and see the latest Jet2 sale offers if you'd prefer to book a flight only. Whether you're after a romantic all-inclusive luxury break or some action-packed family fun, the Jet2 promo code for 2019/2020 could save you money on your next booking. Offering every type of holiday for every type of budget, Jet2holidays is the one-stop-shop for those looking for an affordable break from the north of the UK. Where are the hottest Jet2holidays destinations in May? Figures below show average maximum temperature in °C.